The Rockies are currently 3-9 this season and have dropped five consecutive games, all of which have been at home to both the Los Angeles Dodgers and Braves. Ahead are the takeaways from the Rockies’ latest defeat. It appears as if the Rockies’ struggles have carried over to their workhorses. When German Marquez and Kyle Freeland take the mound, the Rockies expect to win. 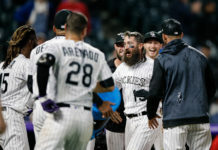 However, that was not the case both Monday and Tuesday night as the Rockies’ aces were noticeably off their mark and unable to break the club’s losing streak. Atlanta scored a combined 12 runs off of Freeland and Marquez in the two games. Marquez appeared to be in command through the first inning of Tuesday’s start but showed some cracks in his armor as the game played out. Things started to unravel when Atlanta’s Ronald Acuna Jr. tagged Marquez for a solo home run in the second inning. After buckling down in the third, Marquez labored through the fourth inning, allowing an RBI single to Freddie Freeman. Later in the fourth, Marquez wound up leaving a 3-2 fastball over the middle of the plate to Dansby Swanson which he cranked over the fence in center field, extending the Braves lead to 5-0. Marquez labored through five innings, departing with a line of five innings pitched, allowing five runs on seven hits while striking out just two batters. The five earned runs ended his streak of consecutive starts with three runs or less at 15. 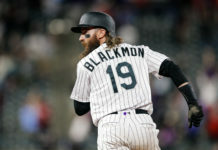 The Rockies’ struggles at the dish carried over to Tuesday night’s ballgame as the offense was again unable to capitalize in critical situations. The Rockies found themselves down 1-0 in the bottom half of the third inning and failed to generate a clutch hit with a runner in scoring position. Yonathan Daza approached the plate for his second big league at-bat with runners on the corners and no out. Daza proceeded to hit a bullet directly at the 6-foot-5 Freeman who then stepped on first base for an unassisted double play. 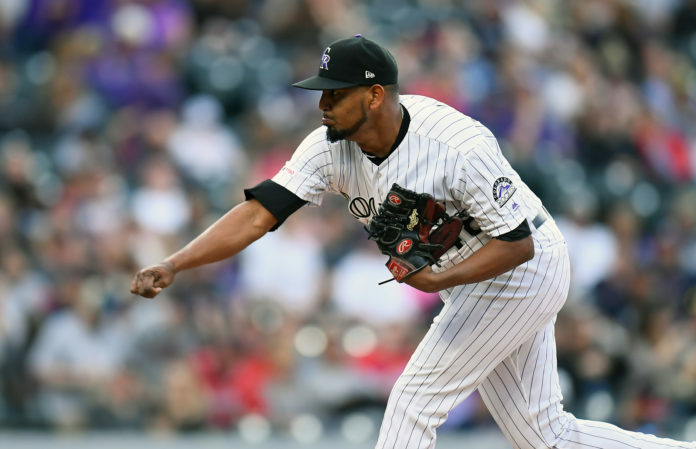 Still, with a runner just 90 feet away from home, the Rockies were unable to find life at the dish as Raimel Tapia struck out swinging on a pitch in the dirt, ending the inning and any chance at momentum the Rockies had hoped for offensively. The Rockies rolled out an interesting lineup for Tuesday’s game that featured Daza hitting leadoff, Tapia hitting second and Josh Fuentes hitting sixth. The lineup was comparable to that of a Spring Training game and is a testament to the injuries the club is currently fighting through. Daniel Murphy, Ryan McMahon and David Dahl are all currently on the injured list which has forced manager Bud Black to get creative with his lineup construction. Charlie Blackmon getting his first day off of the year created a flux in the order that would’ve been hard to predict prior to the season. As the losses pile up though, the lineup changes figure to get even more diverse.